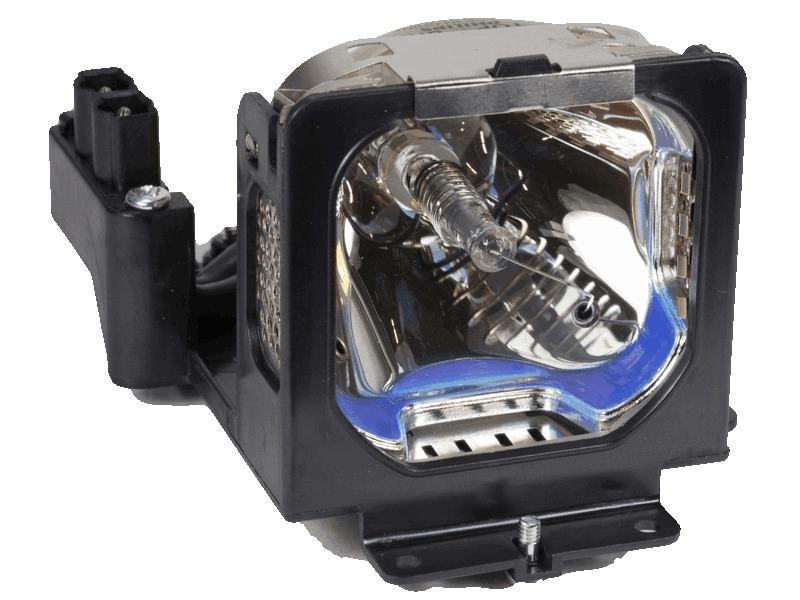 The POA-LMP55 Sanyo projector lamp replacement comes with a genuine original 200 watt Philips UHP bulb inside. This lamp is rated at 3,000 lumens (brightness equal to the original Sanyo lamp). The POA-LMP55 lamp has a rated life of 2,000 hours. Our replacement projector lamps are made with high quality materials including the original projector bulb. Beware of cheaper generic lamps being sold elsewhere that have lower quality construction, reduced lumen output, and lower lamp life. This Sanyo lamp does have the original Philips bulb which other vendors we have tried claimed but then shipped a generic. Very happy to have found Pureland Supply and will continue ordering our lamps from here.